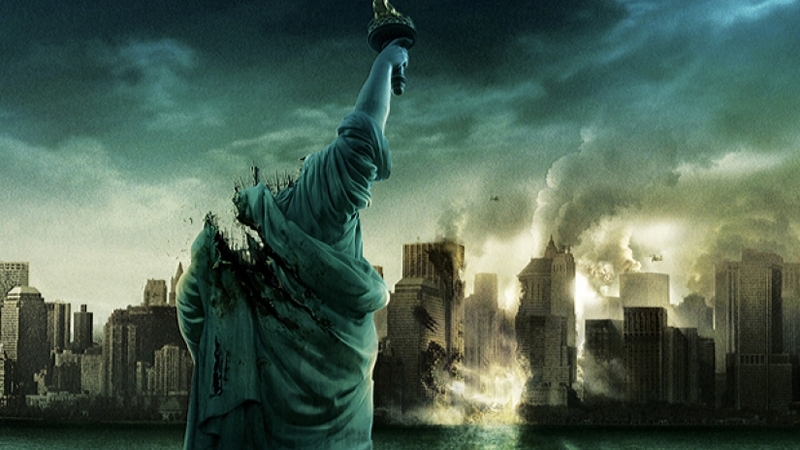 The third film of the franchise Cloverfield, produced by J.J. Abrams, was released on Feb. 4. A 30-second spotlight preview for the Cloverfield Paradox, which serves as the origin story of all the Earth-roaming monsters in the other movies, aired during the Super Bowl and had audiences raving about the twist at the end. Netflix concluded the preview by announcing they would be streaming the movie immediately following the game. Buzz about the film immediately circulated after the commercial and the hashtag #CloverfieldParadox soon began trending on Twitter. This marketing stunt got people’s attention, but is it enough to make up for the movie’s lackluster production? “Overall it’s an ungainly, ill-conceived mess — the kind that likely would have crashed and burned at the box office had Paramount, which is behind the J.J. Abrams-produced movie, proceeded with plans for a theatrical release this spring,” said CNN. The film sets the scene with long, establishing shots of city streets before a blackout of power occurs. Hamilton, played by Gugu Mbatha-Raw (Concussion and Black Mirror) and Kiel, played by David Oyelowo (Selma), a married couple, discuss the terms of Hamilton leaving on a mission to space with the goal of restoring energy on Earth. Cloverfield Paradox transports you to another dimension. However, the plot is difficult to follow with the constant transitioning back and forth between Earth and space. For context, the first Cloverfield is a sci-fi movie takes place in New York City where an alien-monster caused mass destruction to the city. The Cloverfield franchise sticks with futuristic dystopian scenarios involving extraterrestrial life forms, a choice that has polarized past crowds. However, those who have seen the other films in the Cloverfield franchise will understand the stylistic choices with the quick action shots and camcorder point-of-view perspective involved in the film and production, and will therefore be more enticed to keep watching. The main plot of the movie revolves around a group of scientists who board an aircraft called the “Shepherd Accelerator.” In the beginning of the film we get a hint from a theorist played by Donal Logue that the Sheppard Accelerator could potentially mess with space and time and unleash “monsters, demons, and beasts from the sea… not just here, but in the past, future, and other dimensions,” said Logue during the film. Trying to follow along with the constant action and fight for survival is difficult, as the dialogue amongst the characters doesn’t fully explain the extraterrestrial events or the internal conflict the characters are facing. While this can be suspenseful and rewarding for some, other viewers give up and turn the movie off. Without spoiling anything, the movie’s ending left enough anticipation to suggest the imminent creation of a fourth (possibly final?) sequel. .
Dare to see how this sci-fi thriller pans out? You can stream Cloverfield Paradox on Netflix.